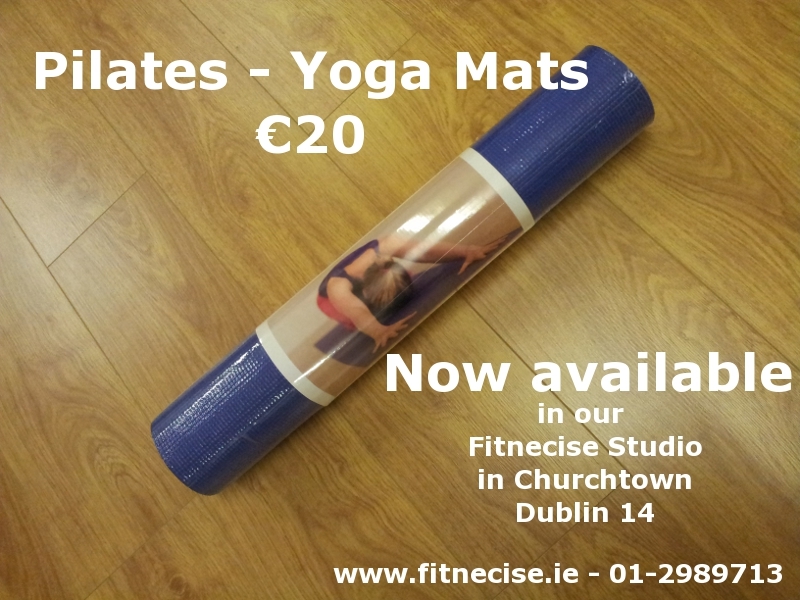 From this week on-wards we are changing our – Mat Policy – in our Fitness, Pilates and Yoga studio in Churchtown, D14. Class participants will have to bring their own Pilates or Yoga Mat. We are starting to sell Pilates / Yoga Mats from a UK based provider to the same price as they sell it on their website, meaning you will save postage from the UK. Pilates Mats are 4.5mm thick – this provides sufficient soft cushioning to protect knees and bottoms, 183cm x 61cm, non-slip and come in currently in two colors Royal Blue and Purple. Call Martin at 086-1736720 for more information and to arrange collection or e-mail us via our Contact Us Section. This entry was posted in other news, Pilates Classes Dublin, Special Offers - Fitnecise Deals, Uncategorized, Yoga Classes and tagged above Howards Way Restaurant, beside SuperValue in Churchtown, buy Pilates Mats, buy Yoga Mats, Fitnecise Studio, for Pilates Classes, for Yoga Classes, Mats in Dublin, Pilates Mats, Yoga Mats. Bookmark the permalink.